Fast paced student lifef, stress, and distress - something we see it common, here at the Farm. 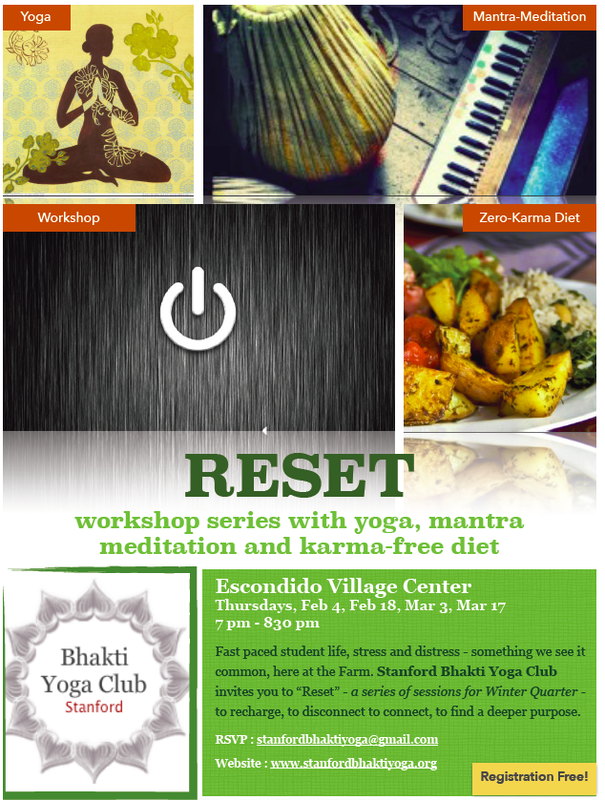 Stanford Bhakti Yoga Club invites you to "Reset" - a series of sessions for Winter Quarter to recharge, to disconnect to connect, to find a deeper purpose. Session includes Yoga asanas, Mantra Meditation, and Veggie Dinner. 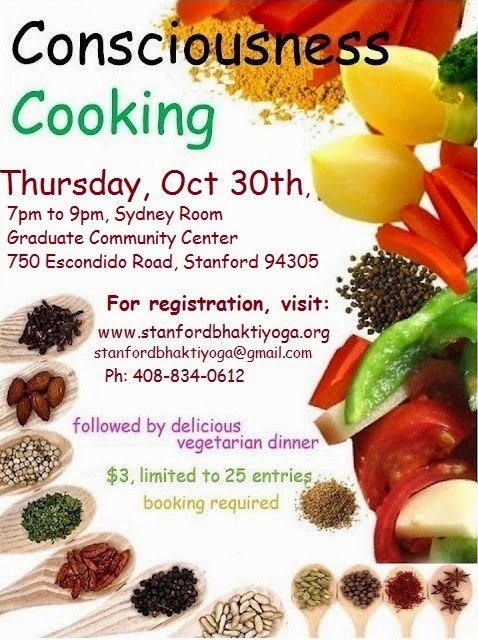 Free Dinner!!! 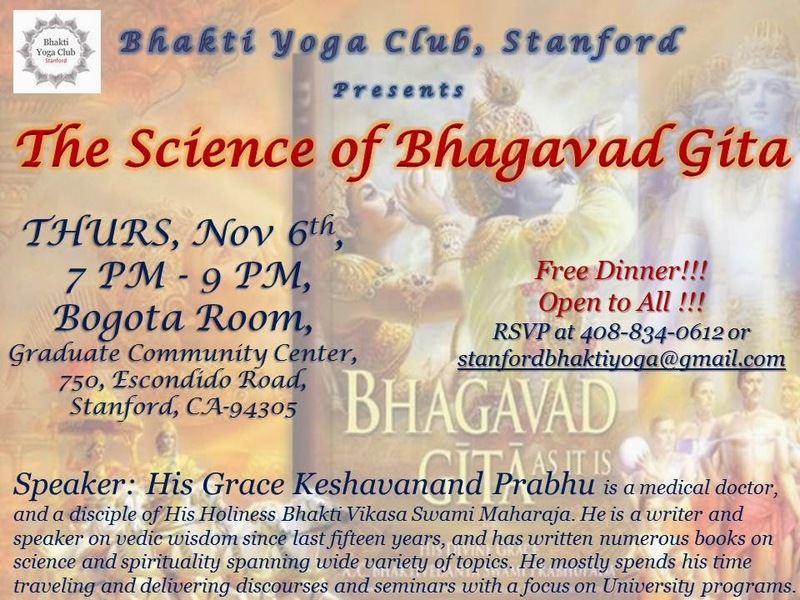 Open to All!!! 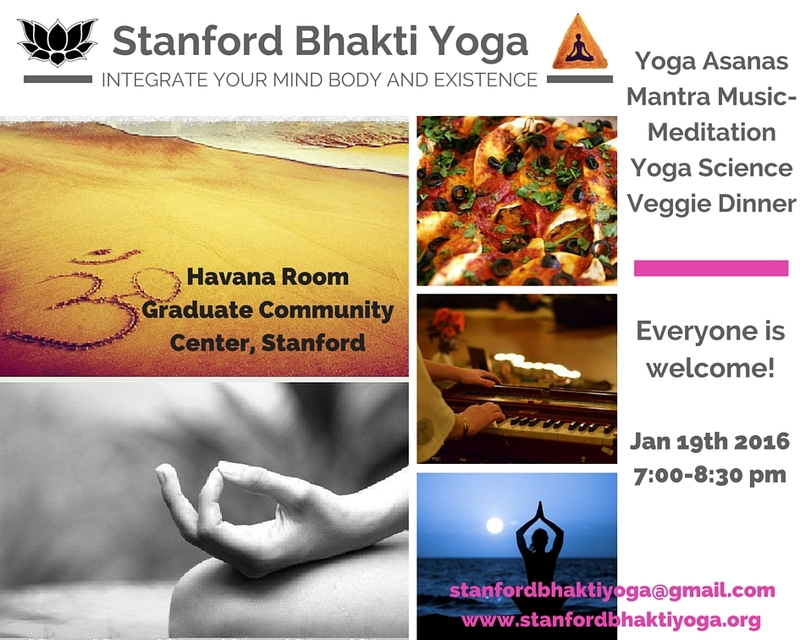 Bhakti Yoga Club, Stanford invites you to an refreshing evening program including Yoga asanas, Mantra Meditation, and Veggie Dinner. 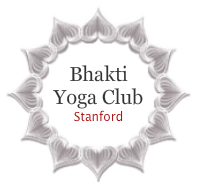 Bhakti Yoga Club, Stanford in collaboration with Hindu Yuva invites you to learn a quick and extremely beneficial Yoga routine called Surya Namaskar or Sun Salutations, which can be performed by anyone and anywhere for better health and flexibility. 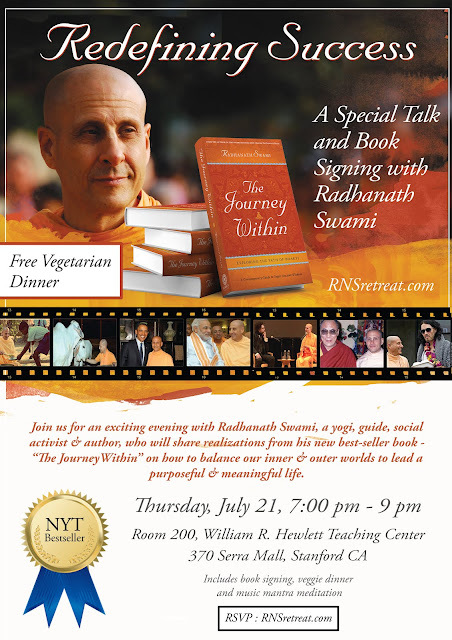 He is a vedic researcher and has done extensive research in Ramanuja and Madhava philosophies (school of thoughts from Ancient india). He has initiated a project "Vedic revival College and Research center" thats aims to establish a web-based and college based teaching of all major vedic philosophies. He also has a medical degree from Manipal university.